Delta State Governor, Senator Ifeanyi Arthur Okowa and his cabinet has been described as a collection of men and women who lacked vision and proactive leadership qualities to rescue the state from its present economic mess. Rescue Delta Media Group (RDMG) in a statement by its Convener, Dr Fred Latimore Oghenesivbe made the assertion and further posited that the state executive council performed below expectation in terms of sound economic policies and enthusiasm required to revamp the state dwindling economic status occasioned by reckless looting and financial mismanagement by previous and present administrations. 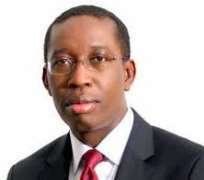 The group berated Gov Okowa for keeping deaf years to reported cases of corruption and sharp practices perpetrated by some mediocre Commissioners and lay about head of Agencies and Departments, particularly alleged misappropriation of funds by the leadership of Delta State Oil Producing Areas Development Commission (DESOPADEC). "It is very shameful that Gov Okowa paid deaf ears to numerous cases of sharp practices at DESOPADEC and Ministry of Basic Education where cases of alleged financial crimes were reported. "It is expected of a proactive governor to quickly set up panel of inquiries to look into any kind of allegation and thereafter inform the citizens of its findings, this way confidence is established between the government and the governed. 7. The Governor ought to explain in details how he managed the State and local government federation joint accounts and support same with audited report by external auditors. "The leadership style of the governor is therefore archaic and lacked strength and required drive to improve and sustain the socioeconomic potentials of the state in the next three years. "The potholes filled by government in some of the major roads across the state is okay but do not deserve the massive media publicity so far accorded the low profile road maintenance projects executed by Okowa's administration within the past 12 months. "RDMG can only wish and hope that the governor and his team will wake up from their deep slumber and come up with a more people oriented socioeconomic policies that will truly reflect the administration's "Prosperity for All Deltans" slogan as we look forward to a more result oriented second year in office." Dr Oghenesivbe urged the state governor to open up his heart and forgive those who worked against his governorship ambition so as to appoint capable hands from among his party men and women to help him deliver dividends of democracy to people of Delta State. He observed that there are some brilliant and highly experienced public administrators who the governor ignored as a result of their activities during PDP pre-party primaries and as such bluntly refused to get them on board to help rebuild the state, adding that unforgiveness is abhorred by God and amounts to acute SIN. RDMG is of the strong opinion that governor Okowa should reshuffle his cabinet and appoint capable hands to help him run his government, the statement added.